Robert Pattinson is a character actor who has gifted us with some stellar performances. In fact, he’s given us enough good stuff that we should really stop bringing up the “franchise that shall not be named,” whenever his name appears in a film. That’s because what you should feel when seeing Pattinson drenched all over the marketing and promotional material is excitement. That’s because you know you are in for a Good Time. 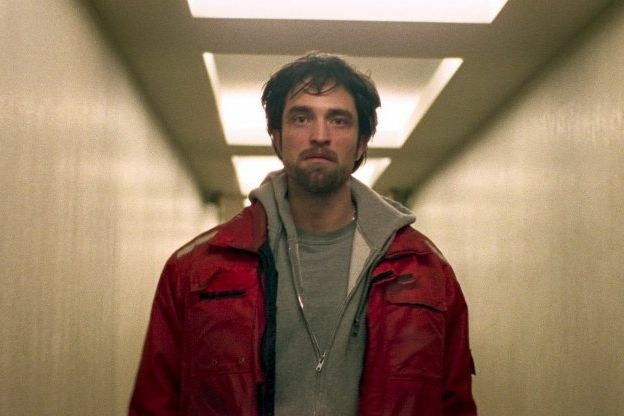 Good Time, directed by Benny and Joshua Safdie, revolves around Constantine “Connie” Nikas who is a small petty thief in New York City. Roping in his mentally challenged brother Nick into his schemes, their latest bank robbery runs amok and Nick winds up in a brutal prison. Keen to get him out before anything bad happens to him, Connie attempts to raise the bail money and soon his crimes escalate into desperation. The evening turns into an out of control romp across the city while the police are in great pursuit of Connie and Nick is in need in prison. The Safdie Brother’s have concocted a chaotic and trembling spectacle in this tightly scripted thriller. The underbelly of New York City plays host to a increasingly despairing petty crook as Connie weaves through situation to situation. Enhanced by murky and ultra-violet aesthetics, this unravelling is well-timed, and well paced and intoxicating to watch. The pair direct the hopelessness with a taut plot and sublime imagery that captivate the pulsating misery of Connie’s failure and fumbling. As Connie hurtles through the night, meeting characters who aid, abet, and agonise him, the night-scape becomes increasingly lonely and nightmarish. This calamitous night would be far less interesting if Connie was played by anyone but Robert Pattinson. This is his defining role and it is a shame that, bar the Independent Spirit Film Awards, Pattinson has little to no nominations because it is one of the greatest performances of last year. The wide-eyed criminal who believes his eschewed and problematic heart is in his right place is adamant that Nick belongs in his care but his turbulent lifestyle and vicious upbringing is pushing Nick into a more stunted existence. On the outside, Connie is very much a villain, concocting his own inevitable downfall. But Pattinson is adept enough to layer him with loyalty and intricacy that you follow his emotive arc, rooting for this toxic character. The film is less about the hi-jinks that take place but about Connie experiencing them in their damning insanity. It’s about Connie realising that despite his deep care for his brother, his world is no place for either of them. It’s Connie’s journey to actual familial love. Whilst that journey may be one of madness, it is one that matters and weirdly moulds Connie into a maturer state of mind. This deep character study, enhanced by the journey he takes, is a palpable and astonishingly brilliant one. Good Time is available to watch on Netflix! Previous PostBad Day for the Cut – Exclusive Clip!Next PostHellraiser: Judgement – Brand New Trailer!